My mother and grandmother are smart women. They know a lot about money, finances and investing. They taught my siblings and me how to make money, save and budget, and then they thought we were pretty set in life. I mean, they taught us the basics, right? We'd learn the rest in school they assumed. Not the case. Their assumption that our schoolteachers would take over where they left off in the world of passing on financial knowledge was incorrect. We all learned the basics from my mother and grandmother, and then the finer details were lost on us for quite a while. 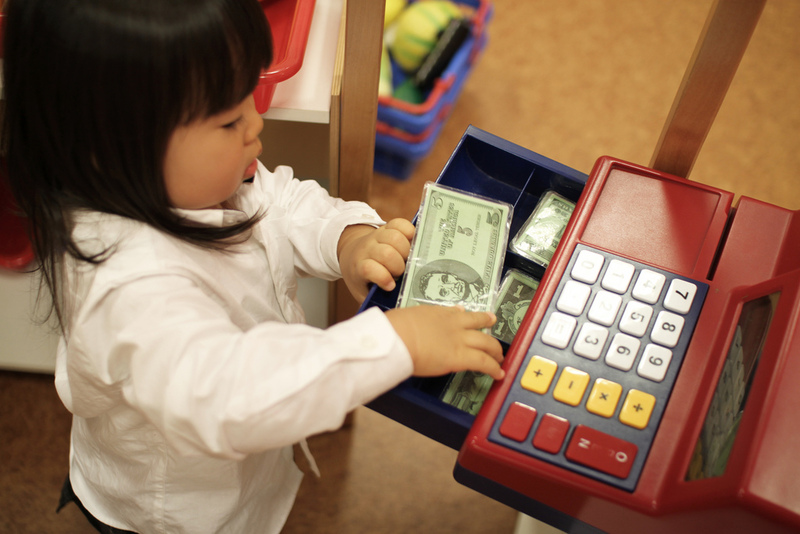 What then should parents teach their kids about finance? Let's take a look. Even kids who take accounting courses in high school may need a little assistance when it comes to managing their own money. They have limited budgets; the ins and outs of applying the business accounting courses to their own dwindling funds may miss the mark. So whether your kids are business accounting wizards or business accounting no-shows (like me; I never even signed up for these classes in high school), they just may need a little help. Taking the time to show them the ropes like balancing a checkbook, budgeting for a goal or purchasing their first car will probably be much more appreciated than that raised eyebrow or grumbled "Thanks" lets on. Another place where general education does little to enlighten our teens is in future life finances. I didn't know, for example, what a mortgage was, what a 401(k) was, how a loan worked...okay, I really didn't know anything about life. I bumbled along until I figured it out on my own, but I would certainly have grumbled a "Thanks" to my mom if she'd shown me the ropes. What is a Mortgage? : Let them know what they are up against if they want to purchase a home. They should know about down payments, appraisals and payments (including PITI: Principal, Interest, Taxes and Insurance). How Does a Loan / Credit Card Work? : Car purchases or first credit cards are the perfect places to learn a little about finance. You could also show them how other loans work to help them round out their knowledge. What is a Credit Score? : While you're talking car purchases, you may wish to let the in on "The Ultimate Finance Secret." Telling them what a credit score is and how it can help them could win you a big kiss when they become adults. What is a 401(k) / Retirement Savings? : Here you may wish to tell them about Social Security and the government's threat to take it away. Once they are schooled on SS, you could introduce the topic of 401(k)s.
Those are the biggest basics every teen should know before they're let loose into adulthood. Beyond these, the budding entrepreneur can round out the basics with college education. And those who forego college or who pursue degrees in non-finance fields will appreciate the time you took to introduce finance when they were teens. I think my parents assumed that I learned all this stuff in school. We never had a talk about money or spending. I was a natural saver as a child, so maybe they thought I would just figure it out on my own. I am not making that move with my children though. I talk very openly about our journey getting out of debt and why it's better to pay for things outright with cash then to use a credit card. They're at an age where they want to learn about this stuff. When they are 17-18 and are actually about to start a financial life they aren't going to be listening to me anymore (probably) At least that is how I imagine it will be. They'll be stubborn teenagers/young adults. Niki, I love your approach with your children -- teach them now before the stubborn teen years set in! Good luck ~ I know they'll appreciate it when they are grown! We actually had to make a budget in school and learn how to write checks, pay bills, and balance a check book. But doing it for a few weeks in school with fake money and doing it in real life when you have to choose between a bunch of things you really want are two different things. You have to talk to your kids about the day to day money management in your house. Then they can see how these concepts apply in real life. I have always felt that personal finance management should be taught in school. It is one of those much needed skills children need to develop to be successful in life. To me it is just as important as math and writing. Maybe one day school teachers will realize this and take action. The problem is even adults have only a vague idea what these are! If you talk to a person who has never owned a house before about mortgages, chances are that he wouldn't really know how mortgages worked. Heck, most of whom I talk to don't even know why mortgage rates fluctuate! Ashley, I love that your school system provided this in its curriculum! Very true that funny money and real money are very different concepts, though. Miss T, I agree! We should have a little personal finance management in school. MoneyCone, that is true: many adults do not know the ins and outs of these finance basics. Learning them now as an adult and teaching their kids would help them both come out ahead!